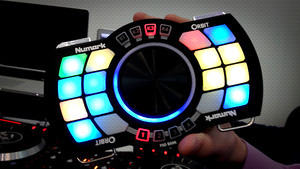 KitMonsters – Numark Orbit. The music makers’ guide to making music. 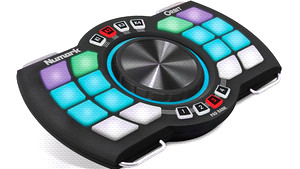 This wireless handheld MIDI DJ Controller with acceleromter is a world-first and gives a lot of performance for a good price. 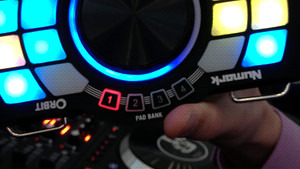 We think it’s got huge potential beyond the DJ world too. It has 2.4 GHz ultra-low-latency wireless performance control, with 16 backlit pads and 4 selectable banks with 16 virtual knobs per bank. There’s a two-axis accelerometer with shoulder trigger controls and it can be used handheld, strapped to belt or body, or hung around your neck. The control wheel is also illuminated and Orbit runs off a rechargeable lithium-ion battery. 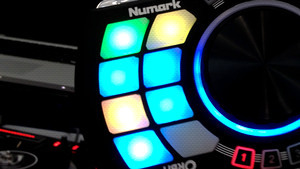 For more check our Orbit blog from the NAMM Show.